2.MINIDV clock that currently the longest recording time of a product! 24 hours continuous recording,in motion detection standy mode it can do the surveillance job for a week! 3.Currently the only product using wide-angle 140-degree! Wide-angle for maximum range of video! 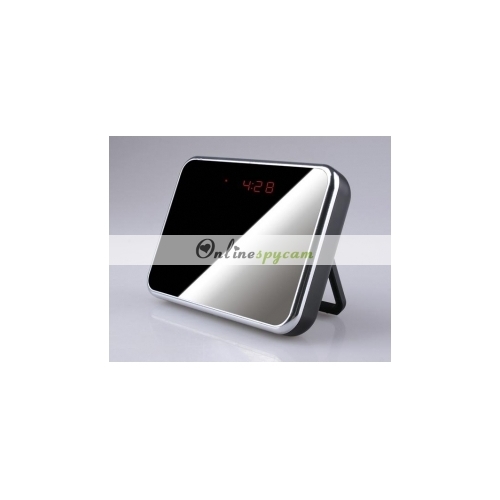 4.Special handling mirror, hidden camera, best home office security monitoring products. 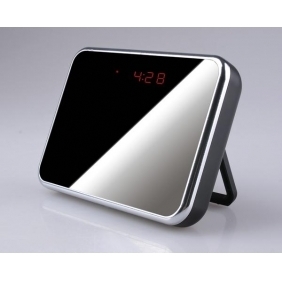 This is a multifuctional clock provides the DV functions including video,audio,motion detection,webcamera,USB.It supports TF Card and remote control function.The max memory can support upto 32GB,the high capacity battery provide the enough power for long time recording.it can be used as home security surveillance.bedroom long hours spy,home security.